Flick a switch and chances are you’ll bring to light a little piece of Hammersmith history. 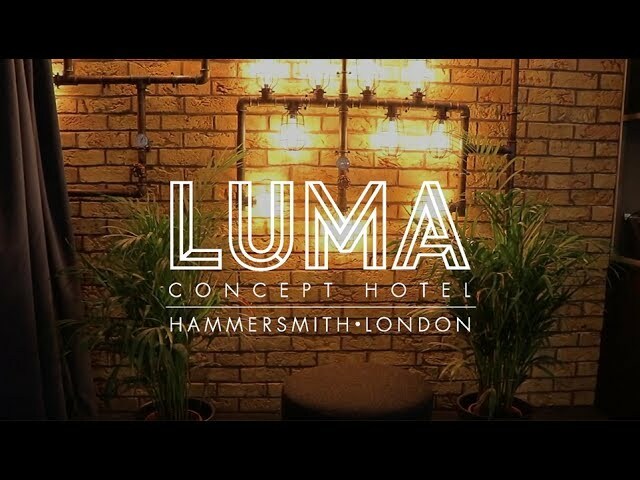 LUMA Concept hotel London is inspired by the grand old Osram lightbulb factory that once dominated our neighbourhood, a vast Victorian workplace for the inhabitants of the surrounding terraces. A stone’s throw from your room in this now cosmopolitan corner of London, it was one of the earliest lamp factories in Britain, bringing light to its people since the dimly lit days of 1881. Like any good host, we can’t wait to show you the best of our city. Consider us curators of illuminating experiences unique to the British capital, shining a light on London’s many and varied diversions for the discerning visitor. This is also the place for that seductive special rate, because who doesn’t appreciate exceptional value complementing great quality? So, when you’re looking for hotels in London, hotels handy for the West End – or hotels near the Eventim Apollo – there’s sure to be something here to suit.